Thank you - Leona was very happy! The order was received in record time by my sister. Thank you, and I am sure I will be doing business with you again. My daughter received her flowers and said they were beautiful. She lives in S.B. and said you do very nice work. So, thank you for your great service. I wanted to take the time out to say thank you for delivering flowers to Tutor Time in Anthem, AZ, with great timing for me. My girlfriend was having a long day and the flowers helped brighten up her day. I live in CA and I am very happy to know that I have a "go to," flower company now. Thank you so much for preparing and delivering the Flower Basket for my dear friend Sheila Solecki. 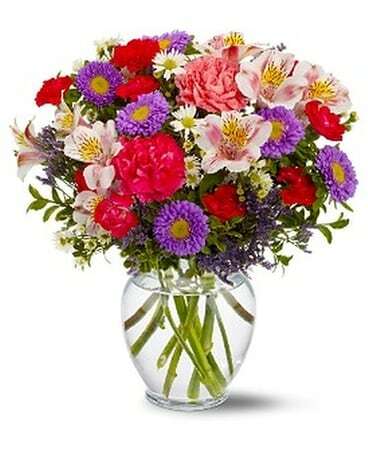 I really appreciate your having a website so I could order the lovely basket of flowers as she loved roses so very much and the rest of the flowers as well. I'm hoping that her son Mike will be comforted by the flowers and my note. I've known both for around 10 years so this has been very hard on me as I will miss her friendship so very much. In that I'm not able to attend her services, I'm thankful that you were able to deliver the flower basket today. Thank you so much for the flowers and for the nice e-mail telling me how to find and use the website and for the future discount. Excellent! I am very pleased and delighted to say my first experience placing an order with your company/services has been extremely wonderful. Below is a copy of an email I received from the lady I sent flowers to which by the way were delivered very quickly and in excellent condition. 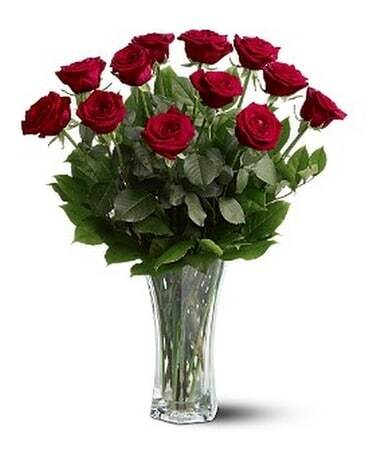 You have exceeded all my expectations of what I desired and expected an online flower delivery shop to offer. 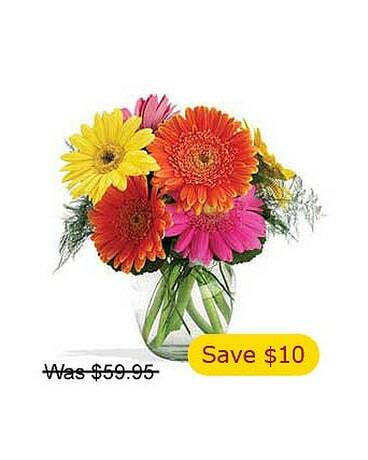 I will highly recommend FlowerShopping.com to everyone. Thank you. Good Heavens, Joy, I am speechless (a very rare condition for me!) The most gorgeous bouquet of flowers just arrived, and I just could not imagine who had sent them. Until I read the card, that is. Have you seen a picture of this? I promptly grabbed my camera. This was so unexpected that I think I am suffering from a bit of a shock! How very kind and thoughtful of you, and I do thank you very much. It is somewhat depressing to have a birthday all by yourself, so you can imagine how much I appreciate your thinking of me. I am a first time user of your company and I wanted to thank you the great service I received with my order. The order of yellow roses for my wife was hard to find, so I took a chance with your company and she and I are really happy. 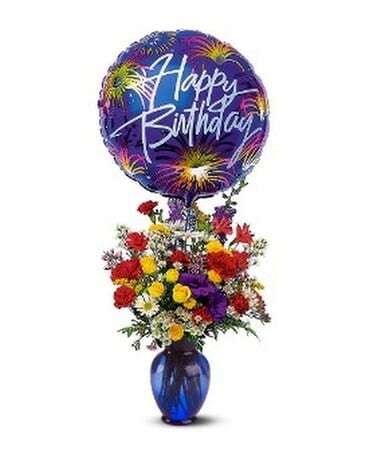 The flowers were of superior quality and the ease of ordering and quick delivery to a small town in PA was outstanding. THANK YOU! You guys did a great job. She loved her flowers. Once again you have exceeded my expectations. 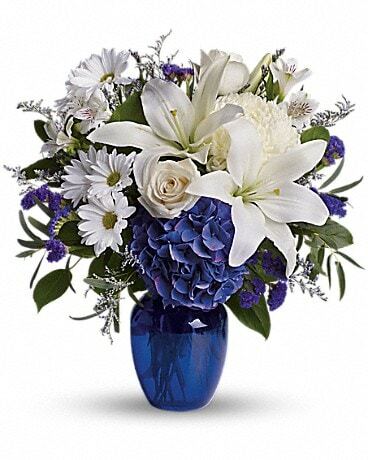 The flowers to my daughter were sent and delivered promptly and a beautiful arrangement. Extremely please with your service as always! I would like to thank you with all my heart for your prompt help in replacing the Mother Day flowers for my Mom. They were beautiful and had the kind of quality that I have come to expect from you. I hope to be a customer of yours for many years to come and would and will refer your services to all I know. I went back to Google and searched again and then selected ProFlowers.com. Like I said, I don't care who delivers them. I went through the same entire process only to be told at the end that they do not deliver to my mother’s house. Where the hell does my mother live - Uzbekistan? No she lives in Tennessee, doesn't sound so far off to me. So, then I went back to Google and decided to be a little more strategic with my search and typed in "florists Manchester TN". One of the first results that I saw was for you. I ordered the flowers and the rest is history. Thank you for your help! I am in Iraq, so all the help I can get is great! 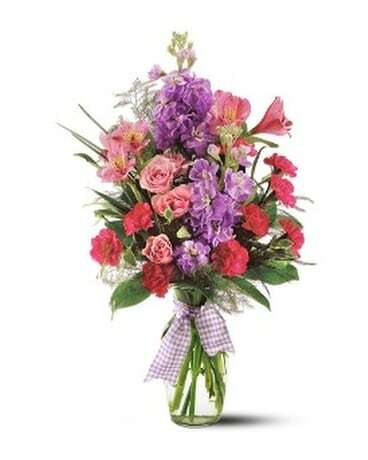 Please know that it is always difficult to send flowers for a funeral (or any other occasion) when I've never done any business with you before and I'm out of town and won't see the flowers to know that they were done well but your arrangement for this event was above and beyond as I received two phone calls to tell me how beautiful they were. I want to thank you for taking such good care of this order and please thank Terry for helping me over the phone with the order. Just wanted to send my many thanks for making it so easy to order such beautiful flowers, with such ease! Didn’t have to run all over and then wonder how they would look when delivered. Thanks again, you have definitely won my loyalty! Just wanted to commend your service. Karen received her flowers yesterday--as requested--and loved them. Moreover, it was very easy for me to place the order. Kudos!!!! Thank you for being there. Everything was on time and as ordered. I just wanted to respond to say thank you! 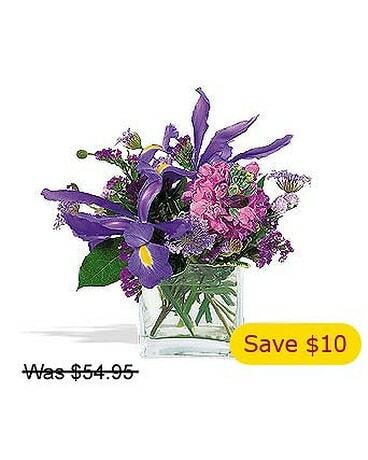 I just received an e-mail from Pam Roehrig stating that she received your suggested item. She described it as an incredible and huge green plant. Again thank you for your wisdom and thoughtfulness in our time of moroning. I look forward to our next order from you. I just wanted to thank you for the wonderful job you have done in putting together my mother’s flower basket…she said they are beautiful. Just wanted you to know how happy I was with the service provided. The flowers were perfect and delivered super duper quick! Website was easy to use and I will definitely recommend it to others. Thank you for your service. 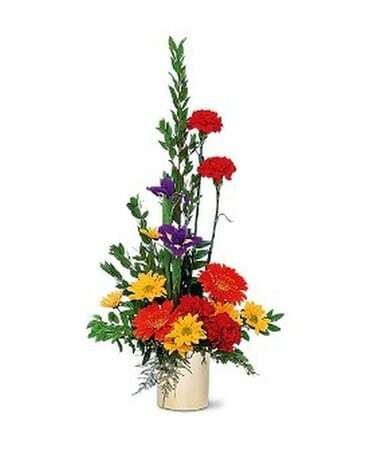 The recipient was extremely impressed with the floral arrangement. At this point in time I will not hesitate to reuse your company’s services. We want to hear from you! If you have feedback, please visit our customer feedback form and let us know what you think.